The Association Heritage New Brunswick looks forward to recognizing individuals or organisations that have been nominated by their peers every year at our Annual Conference in the fall. -Awarded for outstanding long-term service to the heritage community by an individual volunteer. -The AMBHNB wishes to recognize volunteers whose service over 25 years or more merits special recognition. -Awarded for an outstanding contribution in the heritage field. -For outstanding achievement (e.g. successful completion of a challenging project, or long-term contribution (e.g. heritage restoration project or exhibit renewal) by an AHNB member organization. -To be awarded to an individual at the discretion of the Board of Directors for outstanding contributions to the people of New Brunswick. 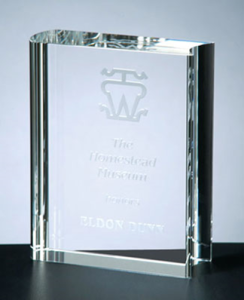 -Consideration for the Founders Award shall not be limited to membership in the AHNB. The Award may be presented to an individual or organization either volunteer or professional. The Founders Award may not necessarily be awarded annually. For more information and how to proceed to submit a nomination go to our Nomination Form tab under Awards.